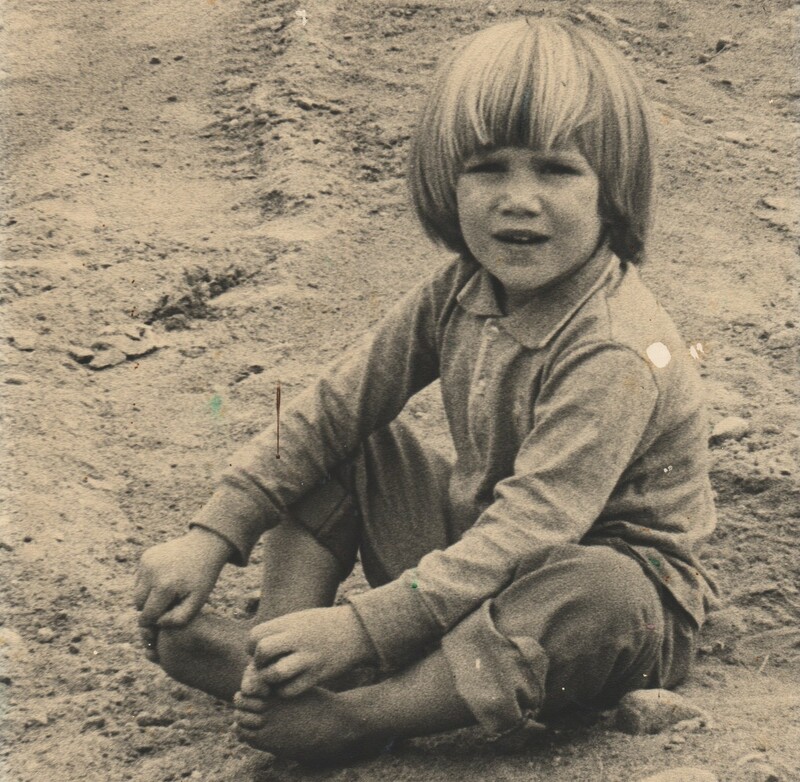 I remember this moment: I am four years old and I have just walked up a dirt road from our house with my family… bare foot. It is spring and as a bare‐foot‐going family we are beginning to “toughen up our feet.” I remember feeling confused that the little stones felt more and more pointy and sharp as we went along, even though they looked just the same as the ones at the start! It hurt! I remember sitting down and deciding not go another step. Despite my complaints no one took much notice, save to take a picture of me, which made me mad and didn’t bail me out one bit.I can’t recall how I got back to the house, but I do know that I kept going barefoot and getting myself into tons more unloving situations for another 34 years. My life has been beautiful, interesting and also thickly woven with anxiety, chronic depression and very low self‐esteem. I didn’t know what I wanted but I knew it wasn’t what I was doing… I was usually flat broke and running between multiple part time jobs. I did not feel in control of myself or my life. For example, I knew from the age of fourteen that when I had sugar it made my body lethargic and plunged me into a dark and despairing mindset but I couldn’t stop eating it. I was also aware that I rarely made my own choices about people, jobs or situations: I repeated a pattern of just going along with what presented itself instead of discerning if it felt right for me and I focused more on other people than on myself. I had recurring pain in my sacrum and neck; I was moody, lonely and terribly sad. It is a way of living based on our inner knowing. Everyone’s same and equal Truth. Since then I have been resolving my sadness, self‐worth issues and building a more loving foundation for myself with the support of esoteric practitioners and other students who inspire me to live according to my inner most truth. I know we all have this ability, because when you think about it we are all the same; we have just lost the awareness – but we can get it back! By listening to my body I have become so much more aware of my choices; how they shape my life and affect my body and this has been a major turning point for me. My body guides me all the time; it’s my choice to listen or to override it … and though I thought I “wanted the truth” and I was committed to searching for answers, I was overriding a lot of the signals my body was giving me. I was only open to hearing, taking on board particular ‘truths’. For example I didn’t want to hear that my body was saying I was too exhausted to continue to work and ‘help’ others in the same ways I always had. Now I respect that my body shows me how to make more loving choices, and as I choose more self‐love I am more open to my body’s loving ways. Looking back, I can see how stubborn I’ve been, wanting to do things my body was savvy not to do, and in turn not feeling very loved or supported in most of my life situations. For example… the first thing my feet showed me (once I started to listen) was that it felt too harsh to step in snow barefooted, as I have always done; it felt rude and even punishing. From there my ability to hear this innate guidance has become more refined and my appreciation has grown immensely for the wisdom my body holds and how much gentler, sweeter and more harmonious my whole life is since I began taking it into account. This feels like love. Feet: Up until a while ago, Jo was not listening to us: she treated us like shoes! Sometimes it was nice but a lot of times we got hurt and cold and tired from being on hard things. A lot of nights we even went to bed dirty. It didn’t seem like Jo loved us very much. Jo: I was idealistic about being barefoot – I liked the often‐intense experiences it brought me. I prided myself on being able to hike up to ten miles without shoes. I never checked in to see if my feet were happy with the arrangement. I would over‐ride the messages they sent me – that they were getting bruised or cold; that they felt unsupported and uncared for or that it felt draining (unnecessarily so) for my body to have to keep them warm and repaired. How could I not see this as self‐abuse or at least as a level of disregard? What I can feel now is that I was living out my held ideals without considering if it was loving to do so for me, in each situation. It suited me to blatantly see bare footedness as ‘natural’ and more ‘freeing’ than wearing shoes. Feet: When Jo was 17 we went to the South West (USA). All we had to wear were a pair of hard leather work boots (which we tried to tell her were not our thing!) and flat flip flops (these didn’t feel good either). We had to carry all her stuff and walk all over hitching rides and waiting for buses in those boots… until Charlie (the dog) came in the broken door and took them for his burying habit… we had to go barefoot a lot after that and everything was gravel and cactus spines! If we go a place now Jo always puts shoes or sandals on us, and lots of times she even takes extra ones in case we ask for something different. It feels nice knowing she thought of us. Jo: I could see this as an analogy for how I was always disregarding what I felt I really wanted (soft flexible and supportive shoes) in favor of what I believed was practical (work boots and flip flops) and how by living in self disregard, I was able to put myself in one situation after another which was unsupportive to the point of abuse and not even be aware of it. Feet: There is a lovely warm flow that comes from Jo’s heart – it makes us feel cozy and keeps us together with all the rest of her. Sometimes she still goes up into her head… when this happens she is not with us then and the warm flow is gone; we feel far away and it gets so cold! Now she knows what to do when this happens and so quick we are toasty warm again and singing the song with her. I have come to realise that self‐love and presence are key ingredients for being a loving person in this world, which is crying out for real Love. As I support myself with true and consistent care I feel more steady and loving in all areas of my life. Now that I have slowed down and become more aware of how I feel I can know what I need in each moment! This is amazing to me after feeling so confused and unguided for so long. Now, I am much quicker to see my own patterns; repeated behaviors that have kept me from feeling who I am and what I need. For example, I used to automatically shift into fast gear, pushing myself and staying distracted as a way to not be aware of uncomfortable feelings, but now that I consciously stop and pause with the intention to “simply allow myself to feel” I find that it is OK to feel what is coming up and not supplement it with abuse or an “effort to fix” or another distraction. I have a very reliable guidance system within me as I am getting the messages my body sends me. My body has experienced my every choice and it tells me all about it; all I need to do is stop and listen. I had not been accepting, honoring nor nurturing the sensitive and lovely person that I am! With self‐love there can be love in all that I do. I still love to be barefoot… when it feels true. Sometimes I take my shoes off to enjoy nice surfaces. This can be a yummy way for me to get into my body more as I pay full attention to what they are feeling: a smooth clean floor, soft moss or a firm stretch of soil on a forest path. I love giving my feet massages on sun warmed rocks; paying attention to how much texture and pressure they want and honoring how long they want it for. I have lots more to work on but the chronic depression, harmful food cravings, physical pain, anxiety and sorrow, financial inadequacy, memory problems, harmful and empty relationships and the relenting loneliness that ran through all of my life have dropped away and are no longer part of my makeup. This feels like love. Ironically, for the first time in my life I feel like my “feet are on the ground.” It’s ironic because now I’m rarely bare foot but I feel more grounded (centered). With deep appreciation for Serge Benhayon, Universal Medicine and many esoteric practitioners for their true support, unwavering honesty and for consistently showing me (us), by how they live, that there is another way to be. by Jo Billings, Magic Rags Cleaning and Organizing Service, New Haven, Vermont, U.S. It makes perfect sense to me that if I go into my head my feet are going to get cold. Being present with my body, my body responds with a flow of warmth in my feet and legs. “With self‐love there can be love in all that I do.” And every step you make leaves an imprint of love on the Earth. Heavens, I don’t know if I clocked the other times I read this blog that you walked in snow barefoot! We listen to our parents and trust their beliefs so much that we learn to override our inner conversation at such a young age. But it never actually goes anywhere. I have also found that one of the simplest ways to build my self worth is to connect with and listen to my body and honour what it is telling me by making choices that support it and avoiding things that don’t. Jo, this article is really interesting to read; ‘I was idealistic about being barefoot’. I can feel how often we put our ideals and beliefs above the practicality of caring for our bodies. Jo, this is super cute. So cool you have got to feel how lovely it is to deeply care for yourself. From young we are robbed from our connection, the expectations and norms within families place us in boxes which we have to comply with in order to fit in and survive. Some parents are more open and let their children explore what feels right for them, others are very set in their ways and think they have to control their children in order for them to become something, not realising how damaging that actually is. I am participating in an online class at the moment about connecting to our feet and although I worked as a feet reflexologist I am amazed how sensitive our feet are and how everything in our body is connected. If we disregard or ‘forget’ one part of the body you could say we do the same with the rest of our body. Also I found it very interesting to feel how my bones came alive, as in breathing into my hands when I was gently palpating the bones of my toes and lower legs. We could appreciate our feet much more than we do now, they have an very important part to play. I saw my Podiatrist yesterday and it is beautiful to feel how dedicated and how caring she is about my feet, it is time for me to bring more appreciation to this part of my body and how valuable my feet are as they consistently walk me throughout life. Jo, I can definitely relate to this; ‘Looking back, I can see how stubborn I’ve been, wanting to do things my body was savvy not to do.’ Reading your article makes me realise how many ideals and beliefs we hold – such as being bare footed or opting out of society and all of the other variations. I have experienced many and I can feel how stubborn I have been and how I have ignored my body. I listen to my body now which I love. Gosh barefoot in snow!!!! 😶 Absolutely there is nothing loving about that and hiking 10 miles without shoes!! 😐 and walking on cactus spines 😩 I love the chat between you and your feet .. very cute especially now you are listening to them ❤️ And yes how ironic that now you take care of your feet and wear shoes after all that time of walking barefooted is only now that you actually feel more connected with the ground. This shows the power of the relationship we have with our body when we truly start to re-connect. I have and continue to learn loads from Serge Benhayon and Universal Medicine and reading your blog reminded me that after doing years of loads of different therapies and courses etc I was not ‘better’ but actually had to go on antidepressants. However, through the teachings of Universal Medicine and Serge Benhayon I now have an absolute understanding with regards to energy, am more empowered and have healed so much. When a teenager, I used to go barefoot for weeks on end in the summer and the feet soon toughened up enormously to the point that I couldn’t feel hardly anything. These days my feet are incredibly sensitive and delicate, I find it hard to even imagine treating them so unlovingly. “I ‘wanted the truth’ and I was committed to searching for answers, I was overriding a lot of the signals my body was giving me.” You got to really want the truth 100% of the time to have the truth. Jo, it is beautiful that you are now cherishing not only your feet but all of you. The truth (hence the only one truth) is that there is nothing like feeling the beauty of a pair of feet well taken care of, soft, tender…. I love the fact that at 4 you knew to sit down and who “why?? ?” We should ask this question stubbornly more often because we follow blindly far too often to the detriment of our own health and wellbeing. This link between caring for ourselves and our levels of self worth and regard is so huge but rarely discussed. I used to think I was pretty healthy but since focusing on feeling what’s going on in my body, and being less in my head, I realised I was living in a lot of disregard. Our external lives are an absolute reflection of how we treat our bodies, so looking after one affects the other. I wonder if low self-esteem goes hand in hand with struggle and a solid foundation of self-worth is more attuned to abundance. I am not talking about wealth but an attitude that permeates everything. My feet are a long way down there, and its easy to forget that they take the brunt of how I am moving and so act as brilliant bell weathers for what is going on, how I am moving. It does not take much to pay them a bit of attention, give them a bit of love… and feel that feedback into the whole body. It feels very important to me to simply allow myself to feel whatever I am feeling – the good, the bad and the ugly and not go into any judgement about it, but simply observe it and learn from it. Wow reading this blog made me not only realise but confirm how my feet have been signalling or communicating loudly to me more and more. I’ve not been the biggest fan of walking barefooted but to find the most decent loving shoes for my feet has been a challenge and is still ongoing. I’ve learnt now when my feet outgrow shoes, the soles ache and it’s not only time to move to a new pair but observe the way I have been walking, with presence or not. ‘Ironically, for the first time in my life I feel like my “feet are on the ground.” It’s ironic because now I’m rarely bare foot but I feel more grounded (centered).’ How we can be tricked by our mind to think it is good to be barefoot to come in contact with the earth, yes we need to be grounded but only to feel our whole body (including our sensitive feet) and to know what we are here for. I can very much relate to listening to only a part of what the body is saying. In that I think to myself ‘at least I am doing this’ without admitting to myself that I have already disregarded myself and got myself in the way of the movement my body has been impulsed to go along. And the opposite is also true, in that we can give ourselves a hard time for the part that’s not working well, or that we haven’t mastered yet, instead of appreciating what is flourishing and already amazing. If we take care of our feet and the love we can walk it is for everybody. We are all Sons of God, so it makes sense that thinking we are less or faulty somehow will cause us pain. It doesn’t match and marry with our true divinity. To heal, all we need to do is hold ourselves as equal, stop our self-abusive ways and walk tall knowing who we truly are. Love the sharing from the perspective of your feet – it is a great exercise – if your feet could talk about how you treat them – what would they say. This makes me consider how we can disconnect from our bodies and just focus on what we think we should be doing when really, our bodies have a lot to say. I used to hate my feet, so much that I thought I had a foot phobia, I really couldn’t stand them anywhere near me, which is very funny when you think they are always with me. As I started addressing the unkind way I spoke about my body I found my attitude and relationship to feet also changed. We often forget the importance of how our feet walk us through life, we would never ignore the tyres on our cars if they were worn or needing air so why do we feel our feet are any different? Hiking 10 miles without shoes…ouch! Your poor feet would have felt every step and no doubt would have missed the protection and support that well-fitting shoes bless them with. Reading this has reminded me of how sensitive our feet are and the extent of the override that has to take place to numb out or ignore the messages from our feet. So sensitive that we are often quick to place some moisturiser on our hands but have we stopped to offer the same level of respect to our feet? Living life barefoot is something of a dream that some of us in this world have adopted as perhaps a rebellion against the cruelty and corruption of civilisation, and, linked to this, an idealisation of nature, or Divine Creation, making it more than us when in fact the opposite is true. Thank you for this great blog! This brings another dimension to the expression of having cold feet when we mean that someone is apprehensive or shy abut doing something, when we are holding back our commitment one way or another it is because we are not connected to our inner knowing, to our inner heart. This makes total sense and great to see how this literally pans out in the physical. There is also the scenario whereby we have physically cold feet and yet appear to be very confident. I can see now how this could be just an outer facade, a way of keeping things together and not actually coming from a true confidence where we are connected to our divinity, the true quality of our being, where a love for ourselves is missing. This is so gorgeous Jo. To walk our love or to not walk our love – that is the question. We have a tendency to make life arduous when the truth is we have all the lightness on offer at our fingertips (toe tips?) by virtue of how we choose to move and be moved. And to walk lightly! Our feet (and the world) would treasure us enormously! When we walk lightly, we heal the scars that we have scourged upon the surface of the Earth by not walking in connection with all that love that we are. This does not mean we are to walk around in an ethereal and spiritual manner, far from it, but to walk in a very grounded way that does not shy away from showing the world the lightness (divinity) we are and come from. Put simply – when we walk with presence and love, we ground Heaven into Earth. This is healing for us all. Our feet support us in every move we make. Wow Jo, you had this real connection to your feet when you were four – you could feel the stones getting pointier and pointier as you went along. It is one of the worst thing to be unable to walk steadily and with your own authority – this barefoot regime was destabilising, especially when you were not listened to when giving feedback from your sensitivity. How wonderful that you have reclaimed your feet. Thank you for sharing the deep meaning of what could in some situations be considered not important – going barefoot. My feet is a great marker as to how I have been moving. The more I am present and connected to my legs and feet in my day the more warmth I feel inside them. Abandon my legs and feet and they abandon me by letting me know how cold and numb they are. I love how we as a child are very honest with what our body can and can’t do. I remember that when I had to go to the toilet as a toddler I had to go and we could not wait until we were home, or when there was a little stone in my shoe we had to stop take my shoe off and get it out before I would take another step! As adults we wait to go to the toilet and I have been walking along with a little stone in my shoe when I was in a hurry getting somewhere or simply just when I didn’t want to put all the effort of taking off the shoe… Yet it is actually still as uncomfortable as when I was a child. As adults we learn to override our bodies with ideals and believes of why it is good what we do but in the end there is only the truth of the body. When we listen to this truth there is less tension and more ease in our body and thus also life. On re-visiting this blog today, I was reminded of an old song ‘These boots are made for walking’ – and how the quality of our self-care and awareness of our feet that supports the we walk within our boots – a movement that brings either harmony or disharmony to our body and to others. We make decisions very early on in life that shape our lives afterwards. Go bare foot is a clear decision to not pay attention to your movements and stop feeling the consequences of them. Yet, numbing your body does not mean not experiencing the consequences you do not want to feel. All day long I walk up and down corridors yet I often forget to appreciate the role my feet have in being able to do that. Thanks Jo for the reminder to appreciate and love my feet more. As such the importance of the shoes we wear that hold and nurture those feet and therefore the rest of the body become so important don’t they?! If we are not appreciating the role of our feet we can find ourselves not appreciating that how we walk up and down corridors has a ripple effect.